Machinists Union members gathered at Arlington National Cemetery to remember fallen veterans and honor those who have served. The Machinists were among the thousands of people who participated in wreath-laying ceremonies across the country on Saturday, December 16. 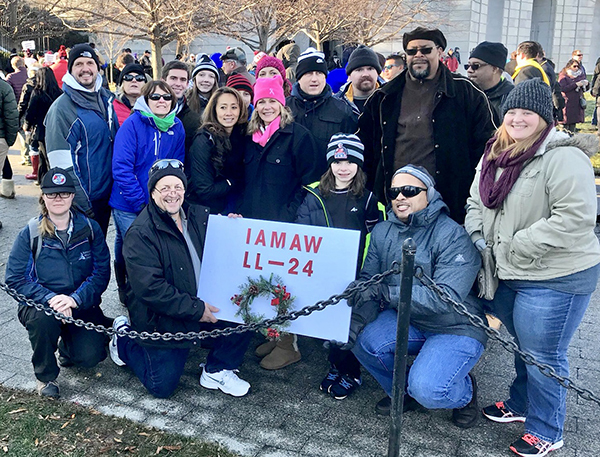 IAM Local 24 members from Andrews Air Force Base in Maryland were among those who joined IAM leadership on the chilly December morning. IAM International President Bob Martinez, General Secretary-Treasurer Dora Cervantes, General Vice President Rickey Wallace and General Vice President Brian Bryant participated in the wreath-laying ceremonies.